Celebrate the New England Patriots Super Bowl LIII Championship with a commemorative Grill Mat! 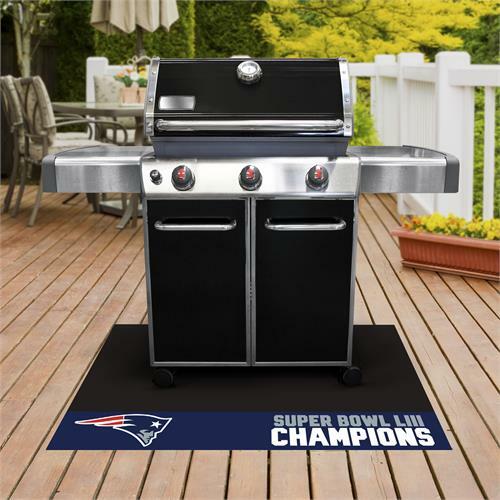 The New England Patriots Super Bowl LIII Champions Grill Mat is made of 100% vinyl, has a universal fit for most grills, prevents spills from soaking in and staining, and cleans up easily with a garden hose. Now you can show off your Patriots Championship team and keep grilling messes to a minimum!